2 Responses to "Armond Goes To A Party"
Hello Nancy! Remember me? I’m 11 years old now. I’ve been enjoying your books for a long time. 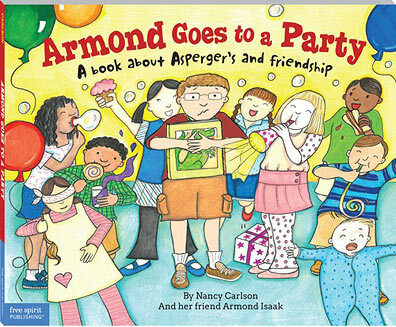 How can I get a copy of Armond Goes to a Party? I am on the autism spectrum, and would like to read this book. You can respond to my Mommy’s email, please. Thanks for the email! Good to hear from you. You can get my book at any bookstore. If they don’t have it you can also order one from me. I will be at Wild Rumpus at 2:00 today maybe you can get one there? Take care and have a wonderful summer!